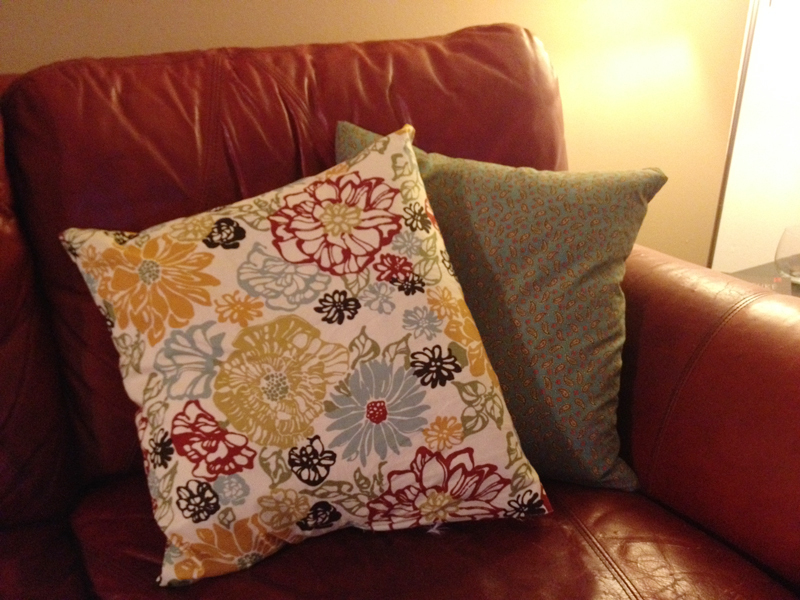 I’ve been wanting to sew new pillow covers for a while. But the absence of my sewing machine made me keep putting off the project, and the though of doing it by hand was daunting. 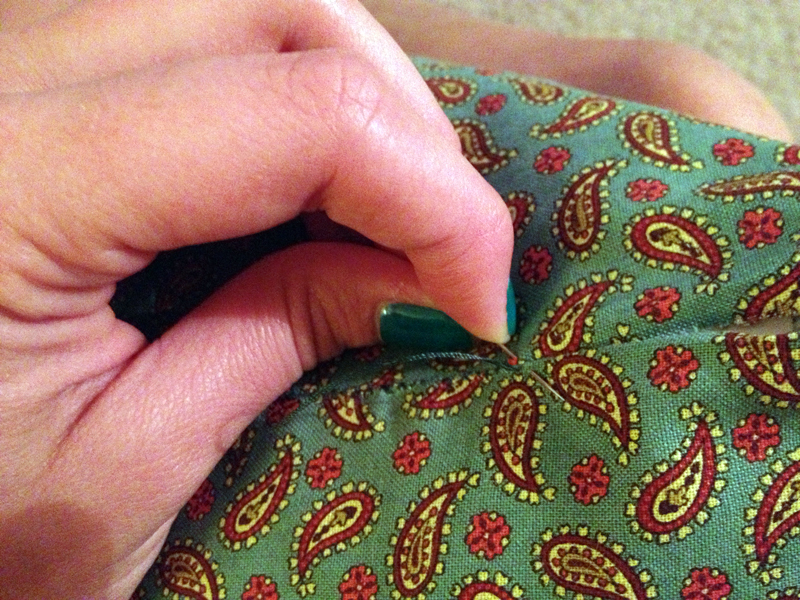 I finally bit the bullet, sewed two sides of one pillow by hand…and drove to get my sewing machine the next day. And after a cool 30 minutes, wa-la! Good as new. I really love these pillows. I purposefully picked four different but compatible fabrics because I felt it would better compliment the eclectic vibe we have going at Bungalow. And I loved them all so much choosing one would have been hard! 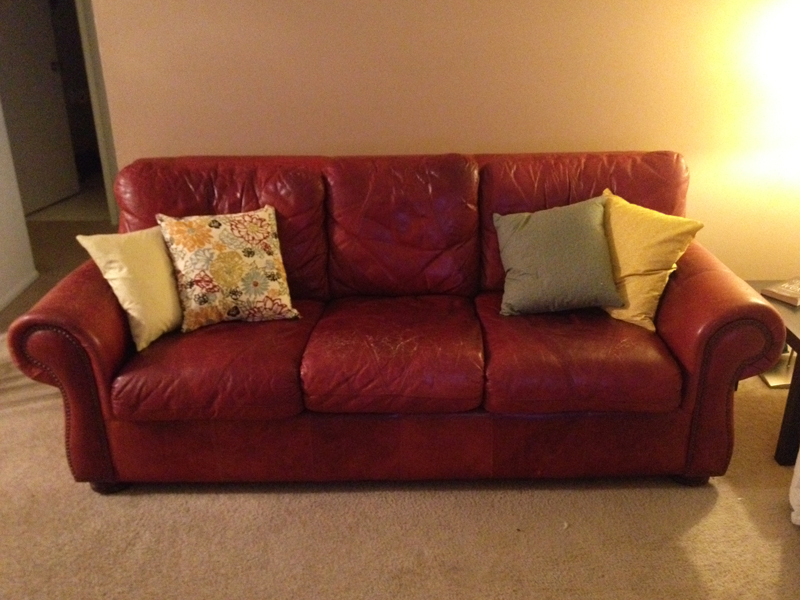 Thanks to the machine, the only part I had to sew by hand was the openings I stuffed the pillows in. Because I was simply recovering these and not making all new pillows, I didn’t have to deal with stuffing the pillows, just shoving the old ones in their new cases! There you have, successful pillow-recover! I love the combo of bold solid colors with the flowers. Each of these fabrics are so fun, it makes me want to play with different fabrics more and more. 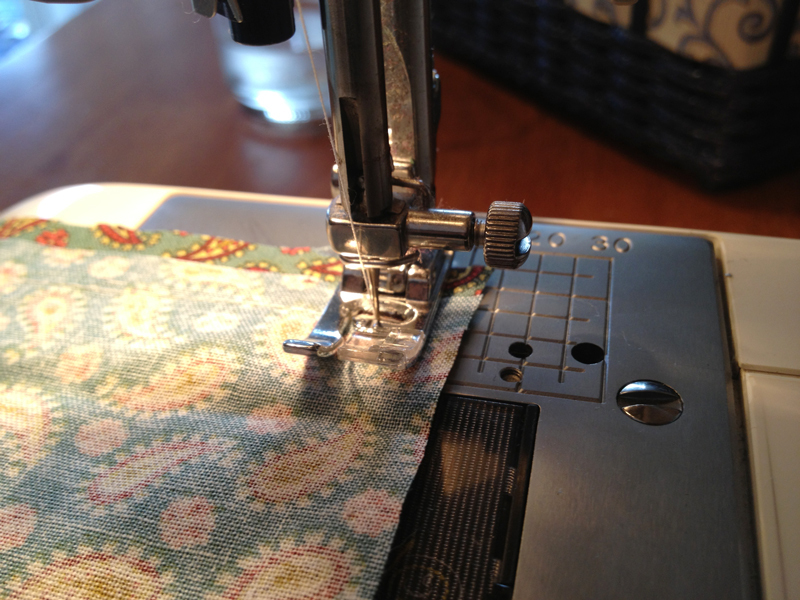 What have you sewn recently? Next Next post: Color Run!